Have you thought of a theme or color motif for your wedding yet? Pantone’s 2018 Color of the Year has been released: Ultraviolet. While this is an absolutely beautiful shade, it’s okay not to let the color dominate your entire wedding. Gone are the days when bridesmaids should wear the same exact dress in the same exact color, or table linens and guests’ outfits should match. Your color motif will definitely stand out in small and detailed accents present throughout your wedding. So beyond your bridesmaids’ dresses and table linens, here are some tips on how to subtly and tastefully incorporate Ultraviolet—or any color you want to be highlighted–in your own wedding. 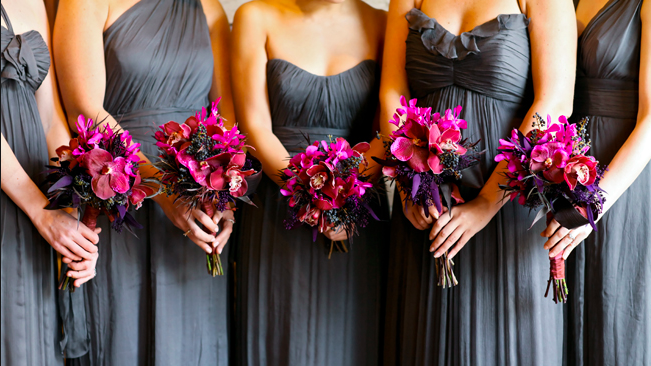 Even if your bridesmaids aren’t wearing the main color of your theme, making them hold beautiful handtied bouquets of lavenders or orchids will definitely unify them. If you choose white flowers for your own bouquet, tying it with an ultraviolet satin ribbon makes it the central part of your bridal party’s blooms. Add a touch of ultraviolet border or monogram on your save-the-dates, invitation, program cards, menus and thank you cards. 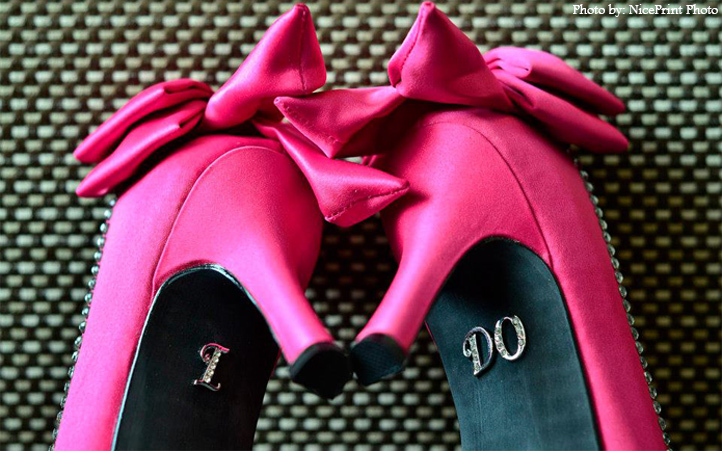 These are essential in setting the tone of your wedding. An invitation or save-the-date is the first thing your invited guests will see, and will primarily speak to them on what they should expect on your big day. 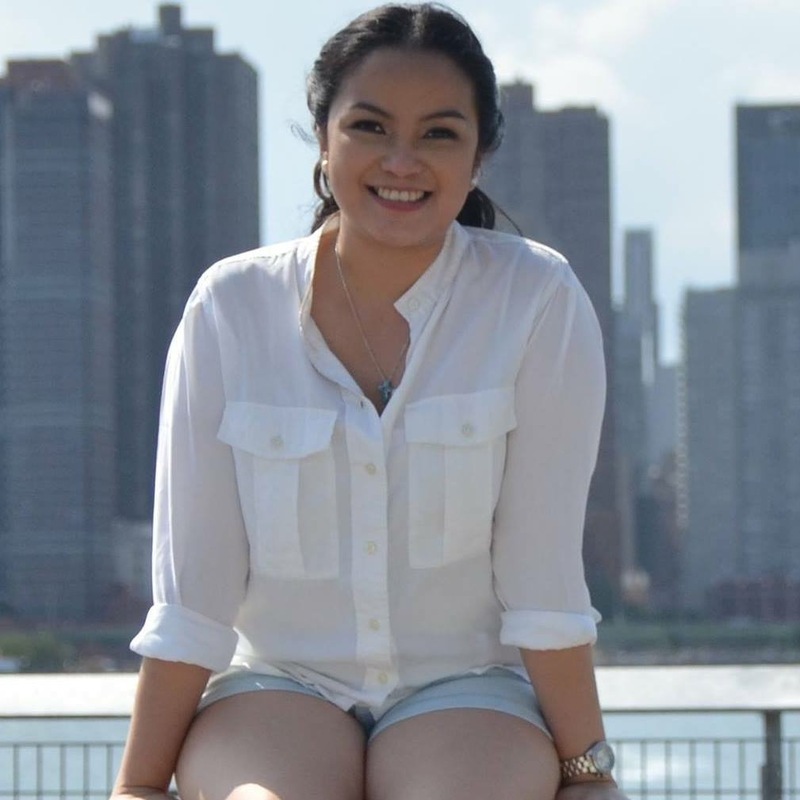 It’s fun and the pop of color will surely brighten up your photos! 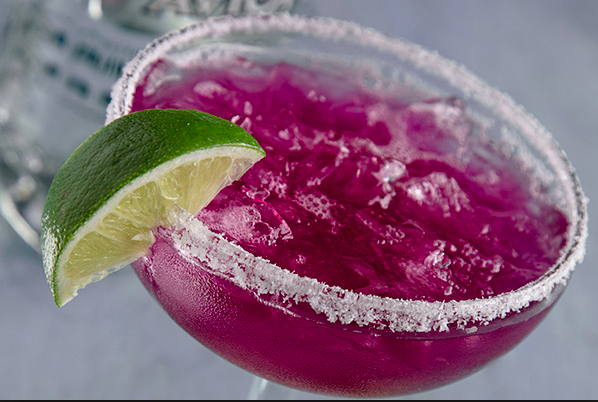 Serve a Purplelita (purple margarita) as a signature cocktail drink for your wedding. Rum and vodka combined with berries or grape juice will do the trick. 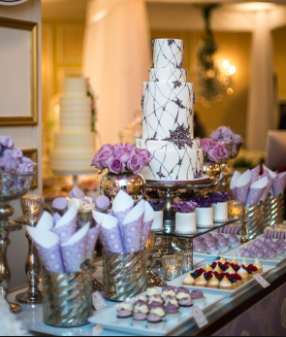 While you’re at it, request for your desserts to be colored purple, such as a blueberry cheesecake, buttercream cupcakes or purple-colored macarons that’ll be a beauty to look at luscious to taste. They say that the best weddings are the ones that guests remember saying, “That was so them.” So personalize as much as you can so your personalities will shine on even the smallest details. Happy Planning!